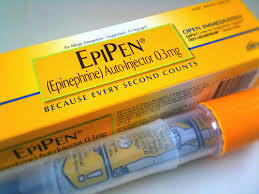 Minister for Health Leo Varadkar has launched a consultation process on whether to make a number of prescription-only medicines used in emergency situations more widely available, including epipens which are used to treat allergic shock. The Department of Health consultation process will gather views on whether the existing prescription-only arrangements for these medicines should be improved or relaxed. These medicines can potentially save lives in emergency situations, but they can also be dangerous if used in the wrong circumstances or without training. The consultation process will also consider whether non-medical people should have ready access to prescription-only medicines for use in emergency situations, while ensuring that medicines continue to be controlled in an appropriate manner. The HSE is already preparing a pilot project for this year to make naloxone available to family members, friends and support staff of registered heroin users. The consultation will also look at how to improve public awareness of the potentially life-threatening medical conditions, and the medicines used to treat them. This consultation is available on the Department of Health website from 20/02/2015 and responses to the questions and/or submissions are invited from all interested parties. Everyone is welcome to respond. We hope to hear from members of the public, patients, patients’ representative groups, carers, voluntary organisations, healthcare providers, healthcare professionals, healthcare professionals’ representative bodies and regulators. The closing date for submissions is 13th March 2015.